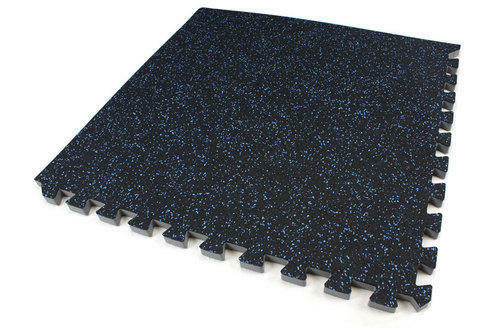 We offer Rubber Flooring, which is environment friendly, simple, cost effective, and needs low maintenance. Rubber flooring can be available in a variety of sizes and thicknesses and can be customized to any client’s requirement. Our clients have diverse requirements and in order to cater to this we have a dedicated Rubber Flooring series. 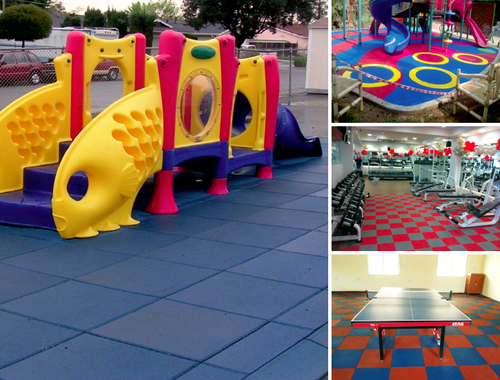 This flooring can be installed in a variety of locations such as children playground, gymnasium, walkways etc. It is an all-weatherproof product suitable for indoor as well as outdoor. Rubber Tile are durable and slip resistant thus making it an ideal product for commercial gymnasiums as well as garden area. It is extremely easy to install as well as maintain. This flooring can be made available in a variety of sizes, colors, thicknesses and patterns.